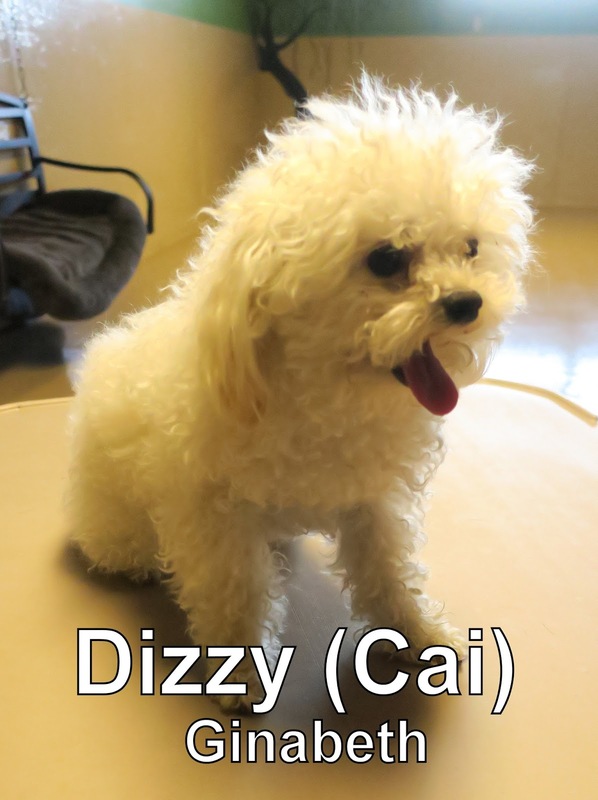 Dizzy was today's assessment that arrived earlier this morning. He's a three year old, four pound Bolognese that went up and joined our Small Dog Program. From the first moment I saw him, I knew instantly this guy has one soft coat- and he does... He kind of reminds me of a cuddly, fluffy teddy bear. I enjoyed watching Dizzy became more and more comfortable with his new surroundings. He showed great dog speak, and started to socialize a little bit, before he left. I have a feeling this guy is going to make some friends next time he returns!